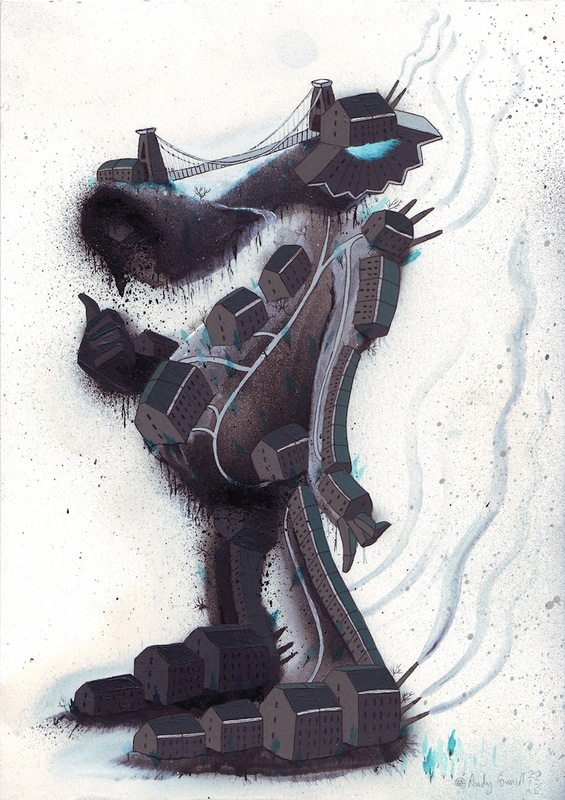 Check out the Art-el website for these amazing new original pieces from Bristol’s Andy Council. 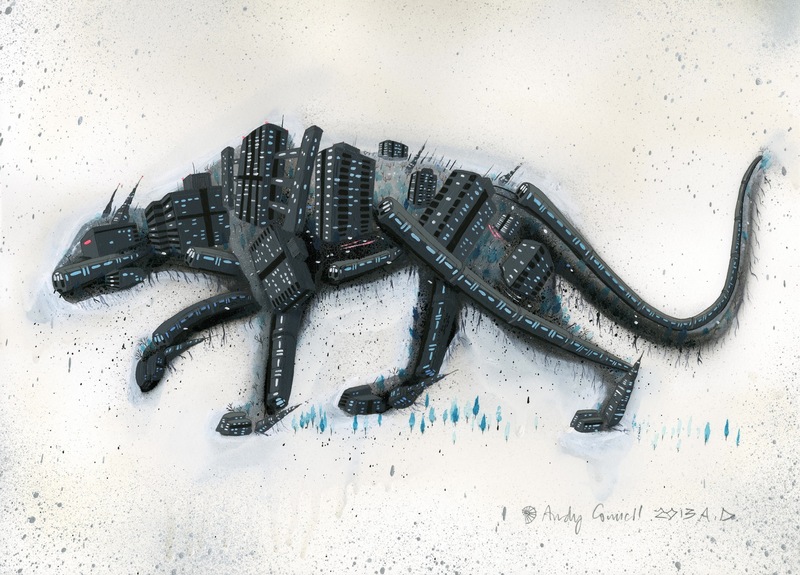 The Southwark Stalker is a one off unique piece, based on the stories of a large black panther like cat that was rumoured to prowl South London. Mixed media on 300gsm water colour paper. 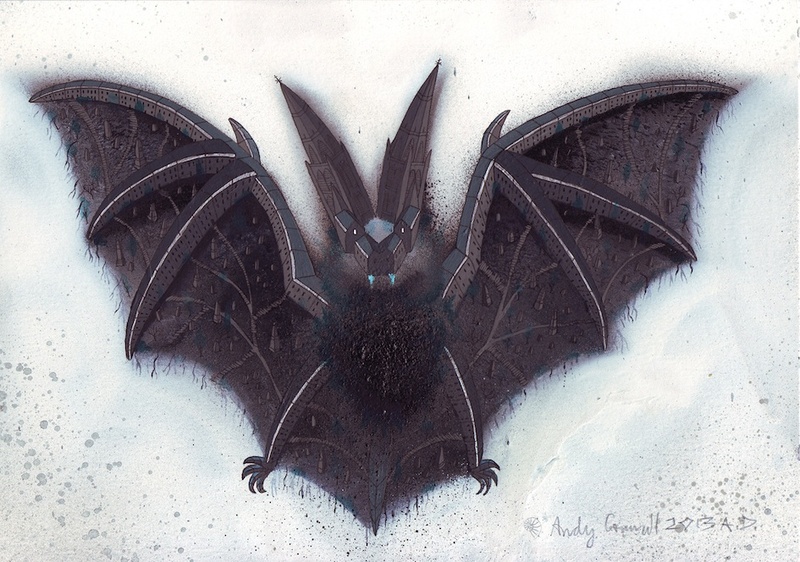 Grave Yard Bat is a one off unique piece, based on a Long Eared Bat and made up of Gothic spires and tombs.